Dr. Yang is a Board-Certified Dermatologist and has been published in several medical journals. 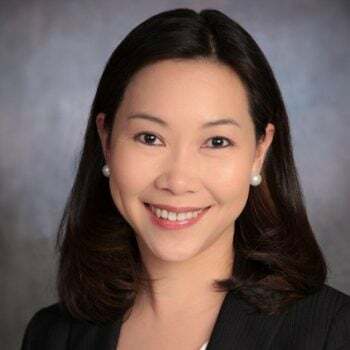 She received her medical degree from the University of the Philippines, completed her dermatology residency at Indiana University, a fellowship in Laser and Cosmetic Dermatology at Harvard University, and Dermatopharmacology fellowship with focus on psoriasis at Case Western Reserve University. the billing department makes several errors. I had services that should of been resubmitted and they were not until my request. I had services from August that I am still in the process of getting squared away. The check-in process violates HIPPA to an extent. There is NO privacy when checking in. All of your personal information that is being asked by the staff can be heard by anyone in the waiting area. There should be a glass partition around the desk or another area for the desk to be set aside from other patients. Friendly, knowledgeable and easy to deal with on the insurance side. I was able to schedule an appointment quickly and convienent to my personal schedule as well. Everyone from the kind gentleman working reception, informative and sweet nurse to Dr. Yang herself were top notch. I would highly recommend this facility and their employees to anyone looking for a dermatology office. I have been seeing Dr Yang at Forefront Dermatology for several years. In fact, I waited for her to be reinstated to my insurance plan instead of seeing someone new. The office staff has always been very pleasant. I really appreciate the fact the Dr. Yang could see me on short notice for a major skin issue I am having. All staff very efficient and display a very professional atmosphere. I appreciate how thorough Dr. Wang is! Yang MF, Xu LY. Laser and light-based treatments of hidradenitis suppurativa. Expert Review of Dermatology. 2102, April;7(2):149-158. Yang MF, Ozols I, Perdue NJ, Warren S. Pachydermodactyly in a patient with Tourette Syndrome. Journal of the American Academy of Dermatology 2012; Apr;66(4)S1:59. Zemtsov A, Omueti-Ayoade K, Zemtsov R, Yang M. Livedo reticularis as an initial clinical manifestation of gemcitabine-induced hemolytic uremic syndrome. Journal of the American Academy of Dermatology 2011 Sep 12. Yang MF, Haggstrom AN. Abdominal aplasia cutis congenita with fetus papyraceus and amniotic band syndrome. Journal of the American Academy of Dermatology 2010; Mar;S62(3):109. Yand MF, Tuchin VV, Yaroslavsky AN; Principles of light skin interactions. In: Light-Based Therapies for Skin of Color (Book Chapter). Baron ED (ed.). 2009 London: Springer-Verlag, pp. 1-44. Brogan TM, Tackett B, Yang MF, Sheehan MS. Interesting cases from Indiana University Medical Center. Journal of the American Academy of Dermatology 2009; Mar; S60(3): 49. Yang MF, Mostow EN, McCormick TS, Cooper KD, Korman NJ. Community-based participatory research in psoriasis. Journal of Investigative Dermatology. 2008, Oct;128(10):2551. Yang MF, Diaz M, Husni ME, Cooper KD, Korman NJ. Development and reliability of a comprehensive questionnaire on the risk factors, epidemiology and comorbidities of psoriasis. Journal of Investigative Dermatology. 2008, Apr; 128(S1):85. Yang MF, McCormick TS, Cooper KD, Korman NJ. Establishing an interface between a multidisciplinary psoriasis center and community-based participatory research in psoriasis: A new paradigm. Journal of Investigative Dermatology. 2008, Apr; 128(S1):79. Yang MF, Baron ED. Update on the immunology of ultraviolet and visible radiation therapy: Phototherapy, photochemotherapy and photodynamic therapy. Expert Review of Dermatology. 2008, February 2008; 3(1):85-98. Tandon YK, Yang MF, Baron ED. Role of photodynamic therapy in psoriasis: a brief overview. Photodermatology Photoimmunology & Photomedicine. 2008,24(5):222-30. Somani AK, Yang MF, Cooper KD, McCormick TS. Cytokines and psoriasis: when cytokines become pathokines. Giornale Itialiano di Dermatologia e Venereologia. 2007, December;142(6):679-690. Santo Domingo D, Yang MF, Cooper KD, Baron ED. UV induced immune suppression a brief review. Giornale Italiano di Dermatologia e Venereologia. 2007, Jun; 142(3):251-258. Yang M, Yaroslavsky AN, Farinelli WA, Tsao SS, Anderson RR. Long-pulsed Nd:YAG laser treatment for portwine stains. Journal of the American Academy of Dermatology. 2005, Mar; 52(3):480-490. Yang M, Yaroslavsky AN, Farinelli WA, Tsao SS, Anderson RR. Long-pulsed Nd:YAG laser treatment for portwine stains. Lasers in Medicine and Surgery. 2003, Apr; S15(1):28. Yaroslavsky AN, Yang M, Farinelli WA, Anderson RR. Quantitative digital photography for objective evaluation of vascular lesions. Lasers in Medicine and Surgery. 2003, Apr; S15(1):28. Yang M, Tsao SS. Lupus pernio: treatment with the 595 nm pulsed dye laser. Lasers in Medicine and Surgery. 2003, Apr; S15(1):76. Yang M. Topical anesthesia, local infiltration, and peripheral nerve blocks. Journal of the Philippine Dermatological Society. 2003, Nov; 12(1):18-20. Yang M, Abadilla JS. BCG vaccination against leprosy: A meta-analysis of all randomized controlled trials. Journal of the Philippine Dermatological Society. 1999, May; 8(1):43-50. Yang M, Cua IY, Dimaano JA, Fontanilla LA, Jorge CM, Meguizo DU, Pasco AC, Salangsang JR, Sta Maria BP. A preliminary study on the killing effect of Cucurbita maxima variety alyaga (squash) seed decoction on schistosomulae of Schistosoma japonicum in vitro. Acta Medica Philippina. 1993, Apr; 29(1):57-64. Pub Status: Published.